George T. Williams is a Training Specialist and the Director of Training for CUTTING EDGE TRAINING, L.L.C., in Bellingham, Washington. He has been a trainer of police since 1981, and full-time since 1987. 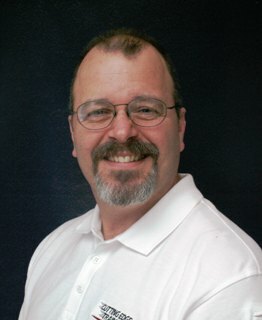 Mr. Williams, a California P.O.S.T.-certified Police Master Instructor, and a certified police trainer in Oregon (through DPSST) is responsible for the development and presentation of unique and ultimately revolutionary police training programs to patrol, K9, and SWAT officers, and to Police Administrators. He certifies instructors in Defensive Tactics, impact weapons, and shooting, and has certified TASER instructors in the past. His experience in training law enforcement ranges from police academies, through municipal and county agencies to the state and federal government level. A SWAT tactics and weapons trainer, he has been a consultant to several dozen teams in the Western United States since 1985. As a Police Training Specialist, he has personally trained in excess of 29,000 officers from all 50 States and several U.S. Territories, as well officers from 14 foreign countries. Mr. Williams also serves as a policy and training consultant to several law enforcement agencies throughout the United States. He may be reached by phone at 360.671.2007 (office) or 360.410.0804 (mobile) and by email at gtwilliams@cuttingedgetraining.org. Click here for his LinkedIn profile. Background. Mr. Williams (a 5th dan, Master Instructor, in Tang Soo Do, and 2nd dan Kuk Sool Hapki) began training peace officers and federal agents as a martial arts school owner in El Cajon, California. When approached by officers requesting a realistic defensive tactics system, he developed a revolutionary system of police defense that is simple, non-technical, and free of martial arts techniques that is effective for all officers, even those who are small with average abilities. He also created a unique program of firearms instruction that finally brings a realistic theory, tactics, and methods of firearms employment to the average officer. Mr. Williams was the primary tactical and firearms instructor to the “San Diego Border Crime Prevention Unit,” a joint U.S. Border Patrol and San Diego Police Department task force interdicting border bandits at the San Ysidro, California border from 1985-1987. Under his instruction, the team became so effective in their shootings of vicious border criminals that the President of Mexico demanded the team be disbanded, and President Reagan intervened. In 1985, Mr. Williams became an adjunct faculty member for the Governor’s Office of Emergency Services for the State of California, at the California Specialized Training Institute (CSTI), in San Luis Obispo, California. He trained officers in defensive tactics, tactical firearms employment, building entry, vehicle stops, and officer survival scenario exercises. Two years later, he was appointed as the Coordinator and Primary Instructor of the State’s Officer Safety & Field Tactics courses. Mr. Williams was responsible for the program’s content and instructor development. Mr. Williams also developed and presented programs in CSTI’s Terrorism Management and in the Earthquake Emergency Management course. He responded as part of California OES to the 1989 Loma Prieta Earthquake, where he was instrumental in setting up a functional EOC during recovery efforts for the County of Santa Cruz. In 1994, he accepted the position of “Police Training Specialist” and was a member of the management team with the Tracy, California, Police Department. He was responsible for developing and presenting major training programs to comprehensively address all training required by patrol and SWAT officers at the various levels within the agency as well as agency policy development. Additional duties included the evaluation of force by officers, as well as the civil liability liaison between TPD and civil attorneys representing the jurisdiction and its officers. Author. Mr. Williams was an Advisory Board Member as well as a Technical Editor with The Police Marksman Association for 16 years, and a frequent contributor to various national police magazines with over 250 articles published. Beginning in 1986, Mr. Williams interviewed the lead investigators of California peace officer murders, reviewing the facts and circumstances of each event. This information was collated into a series of collaborative articles detailing the murders of California officers from 1980 to 1998 with officer safety training suggestions, directly influencing the course content of academies and advanced training in officer safety. Mr. Williams was a core member for the California P.O.S.T. Committee for the Study of Law Enforcement Officers Killed and Assaulted (LEOKA), and continues his study of the causes of officer murders on an informal basis. He is also the author of two books, a textbook used in academies, “Force Reporting for Every Cop,” published by Jones & Barlett Publishers, 2006, and “Preparing for Your Civil Deposition,” published by Cutting Edge Training Press, 2013. Daily Training Bulletin contract author for Lexipol Risk Management Services for four years. Co-author of “Tactical Improvisation,” 2018, the authorized After-Action Report of the 2015 terror attack for San Bernardino City Fire Department. Expert Witness. Mr. Williams serves as a risk management consultant and Expert Witness defending officers in civil rights litigation of officer-involved use of force. He has successfully served nationally in this capacity since 1991, in federal and superior courts, in both civil and criminal cases. Mr. Williams has been testifying in defense of officers since 1991, and has a solid reputation for fairness, consistency, and honesty. Benchmade "Trainer" training knives. He approached Benchmade with the idea of creating a functional trainer. After swapping ideas and drafts and several prototypes, the Benchmade "Trainer" was born: the safest and most practical training knife there is for the armed professional. Benchmade Model 810 Contego. Mr. Williams and International Master Trainer Thomas V. Benge approached CEO Les DeAsis about a purpose-built folding knife for law enforcement. He immediately put us together with premier knife designer Warren Osborne. We described the knife we envisioned and a few weeks later, Mr. Osborne sent a blue print and prototype. We sent it back to him with 28 suggested revisions. After incorporating the revisions, Mr. Osborne secured Mr. DeAsis' word that nothing would be changed from the design in the manufacture of the knife. The result? One of the best selling, most practical knives Benchmade sells. Benchmade Model 183 Fixed Blade Contego. Mr. Williams and Mr. Osborne collaborated again to create the ultra functional Fixed Blade Contego. 2014-2015. “Officer-Involved Shooting Investigation” training video. 2015: “Active Shooter Response” training video. Director of Training. As the Director of CUTTING EDGE TRAINING, L.L.C., Mr. Williams develops, oversees, and directly provides major innovative training programs for law enforcement, other government agencies, and private industry throughout the United States and internationally. With a core cadre of highly trained and nationally recognized subject matter experts, CUTTING EDGE TRAINING, L.L.C., addresses all safety and liability training areas with cutting edge theory and exceptional practical training at affordable rates. Distinguished Service Award. Hillsboro, OR, Police Department, for excellence in mentoring the HPD Force/Tactics Instructor Team (2010). Constitutional Limits in Police Force Response. Unviversal Rules and Principles of Combatives.